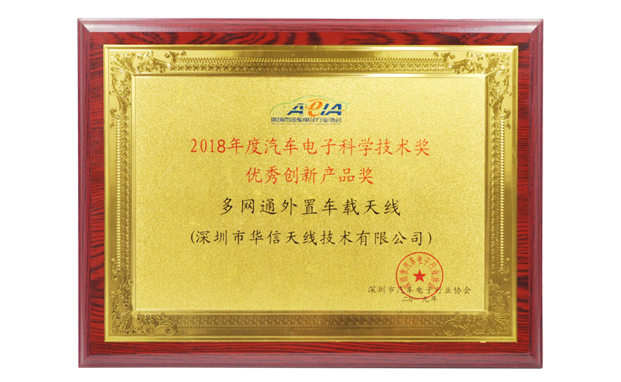 The 2018 Automotive Electronics Science and Technology Awards Ceremony were held in Shenzhen On March 31st. As a leading provider of high-precision positioning solutions in automated driving, Harxon’s innovative Smart Automated Antenna was awarded the “2018 Excellent Innovation Product Award”. In 2018, with the support of our parent company BDStar Navigation. Harxon successfully raised 150 million RMB of R&D funds, which provided an upfront funding guarantee for Harxon's technology research and development in the automotive field. Harxon’s Smart Automated Antenna has adopted the low wind-resistance design, and integrated both navigation and communication functions, such as LTE and V2X. The antenna has reduced the complexity of data communication and improved the communication performance and efficiency of the whole vehicle. So far, the Smart Automated Antenna has been jointly tested with top industrial manufacturers.